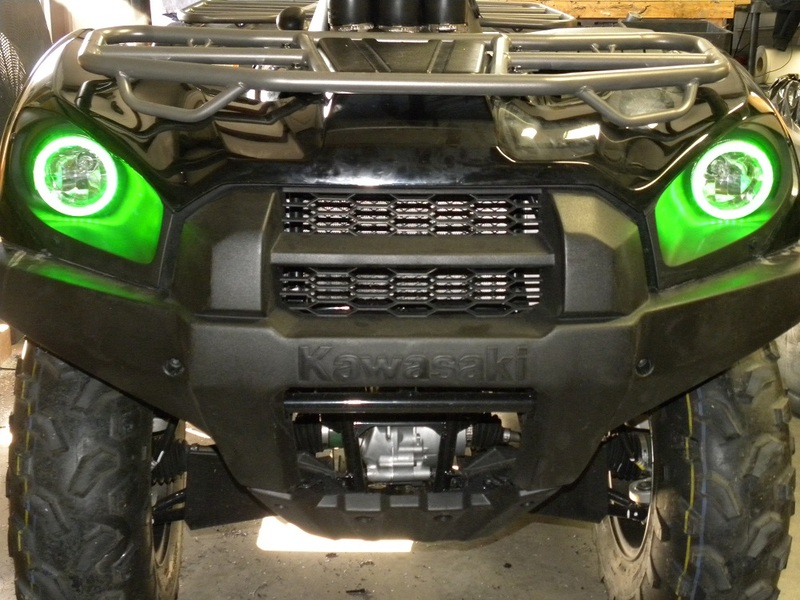 Set of 2 bright LED Halos for Kawasaki Brute Force models. Waterproof. Instructions included. 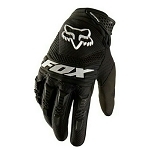 Get them here for a great price. 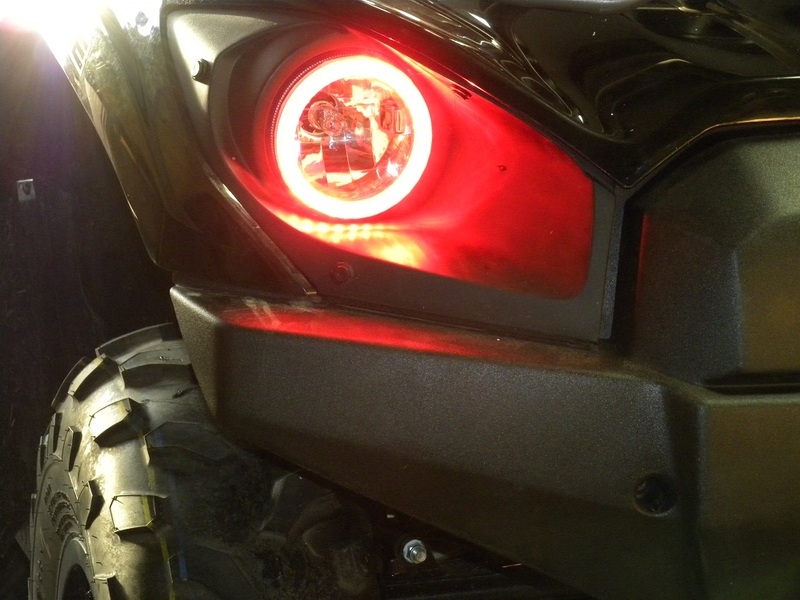 DOES NOT REQUIRE OPENING YOUR HEADLIGHT CASING. 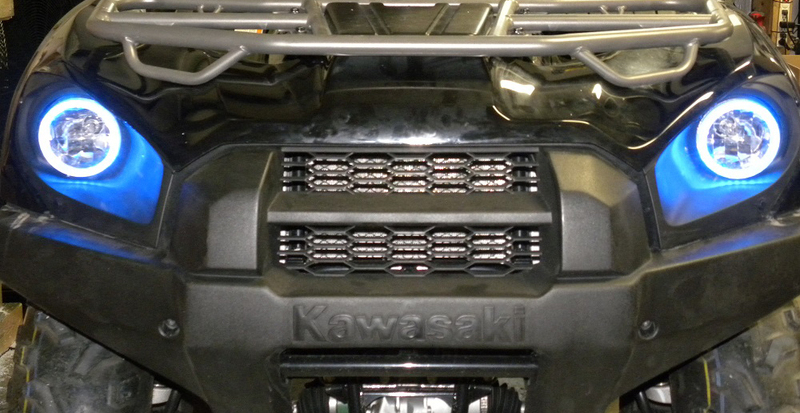 THESE ATTACH AROUND THE OUTSIDE OF THE HEADLIGHT CASINGS..
We carry Brightest Halos available . 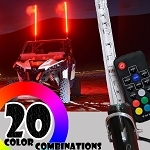 These are bright during day and night ! - 2 Halo Rings, wiring, connectors, mounting hardware and instructions. Fast shipping. Other colors are avail.